WIN A WHISKAS KITTEN HAMPER! 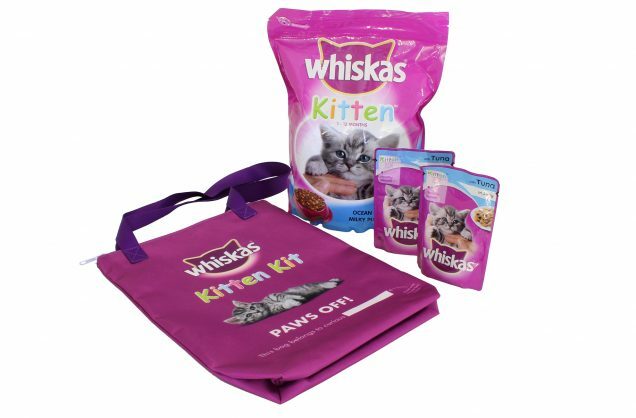 WIN 1 OF 6 WHISKAS KITTEN HAMPERS! Our furry cat friends are curious by nature, they spend most of their time wondering where the drip from the tap is coming from, why the window is “crying” as the rain hits the glass and what sorcery is involved in the lamp that can mysteriously change day into night. The makers of WHISKAS® pride themselves in producing food that gives cat owners the reassurance that they are feeding their cat a healthy and balanced diet. WHISKAS® works with the WALTHAM® Centre for Pet Nutrition to develop products that constantly improve nutrition and care to ensure that all meals are full of tasty natural goodness. In order to share in this goodness, WHISKAS® has decided to give 6 lucky readers a chance to win a WHISKAS® kitten kit hamper with all of the kitten essentials you might need. The competition runs from 23 – 30 June 2018.